A parka is a popular, warm, functional and stylish hooded coat that’s often lined with faux fur. It was invented by the Caribou Inuits using caribou or sometimes seals skin and it kept the freezing winds and arctic temperatures from their faces as the Inuit’s hunted. These parkas often need to be coated with fish oil to retain their waterproof qualities which must have smelled disgusting! Thankfully, away from the arctic we don’t have to go to such extraordinary lengths but we can still look great and be warm in a fashionable parka. 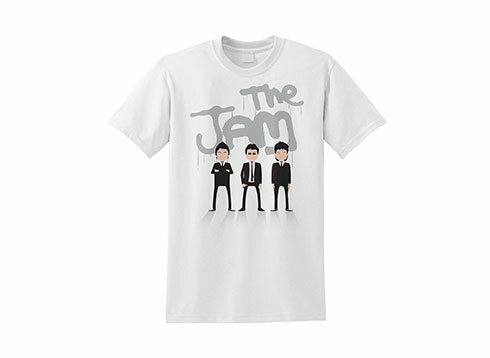 Although it was initially designed for men it became, and remains, hugely popular with women wearers. In the eastern Canadian arctic they call their parkas amauti and a newborn through to two years old is fastened in to the built in baby pouch, called an amaut, which lies just below the hood, it promotes bonding between the mother and child as it protects the little one from the cold and quite probable frostbite. Although the parka and anorak are often termed interchangeably, they are different in the respect that anoraks are waterproof, hooded and pull on over the head because there is no front opening, while the parka is knee length, made for cold weather, stuffed with synthetic fibres or more traditionally with down. The hood is also lined. The first time that the term parka was used in text was by Samual Purchas in 1625, parka derived from the language of the Nenet or Samoyed people of north Russia and in English it means animal skin. From the 1950’s the United States Air Force adopted the N-3B or snorkel parka, it was and is a three quarter length coat with an attached hood.Its predecessor the N-2B covered its wearer to the waist and had an attached split hood so the N-3B was seen as more protective. 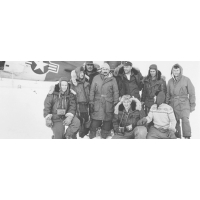 Primarily, it was designed for air crews based in cold territories and the parka could withstand temperatures of below -51 degrees Celsius. Back in the fifties the snorkel parka had sage green silk nylon on the exterior and it was padded with thick wool to form a blanket layer against the weather, by the mid 1970’s the outside was made from a sage green nylon and cotton mix and woollen padding was superseded by a polyester one which made the coat a lot lighter to wear, it also made it warmer. It was given the name of the snorkel parka because the hood zipped up so highly that only the smallest aperture, a tunnel, otherwise known as a snorkel, allowed the wearer to look out while the neck, back and top of the head and ears remained concealed. Real fur was used around the hood but this soon changed to synthetic fibres. Different blends were used for these parkas, 80% cotton, 20% nylon, 65% cotton, 35% nylon and 50% cotton with 50% nylon. Interestingly, the older style nylon made sage green ones tended to change colour to magenta after a great deal of exposure to ultraviolet light and some service personnel felt that this was a proud sign that they’d been serving their country for a long time and so were to be respected, if not envied. As much as it brought kudos it didn’t help to camouflage the wearer. Alongside the N-3B was the fishtail parka designed for US service personnel based in Korea to keep the wind and rain from seeping in, they weren’t waterproof but they were designed to go over other layers of clothing. Four varieties, the experimental version, the EX-48, the M48 (M meaning military,) M51 and M65 became available over time and it was this style of parka that found its way in to Mod culture in the 1960’s. Parkas were inexpensive and made a statement about the wearer. It was high fashion accompanied by the de rigueur Mod scooter. As with many military garments the N-3B parka was copied and sold to civilian designers and manufacturers and they rose in popularity although the only colour that anyone could buy was sage green. If people opted to get their parka from ex-military clothing stores they had the benefit that they’d be really thick and combat ready, not that civilians needed the second feature but they enjoyed the extra warmth. During the 1970’s and into the 1980’s parkas often bore bright orange quilted padding which became synonymous with them (less so, the yellow, green and blue linings) and there was more choice for the exterior colour, people could choose bright orange, maroon, grey, black, brown, navy, sky blue or the sage green. In the late 1980’s the poor old snorkel parka became unfairly associated with nerdy people, geeks and the term “anorak” was used in a derogatory way. As the image took hold, there was a decline in the parka’s popularity. But that’s not the end of the story. Consider Oasis at the height of their music careers in the 1990’s and Liam Gallagher wearing parkas as part of their image of coolness, rock edginess and confidence. They brought the parka right back to where it belonged, at centre stage. Most of the parkas of the 1990’s harked back to the 1950’s designs and indie music fans jumped at the chance to wear their idol’s style of clothes and this added to their parent’s nostalgia for what they used to wear and younger children who wanted to fit in with the trends of the day meant that the glorious parka was an extremely popular fashion item again. The parka remains a firm favourite with designers, on the high street and with the population of Britain.